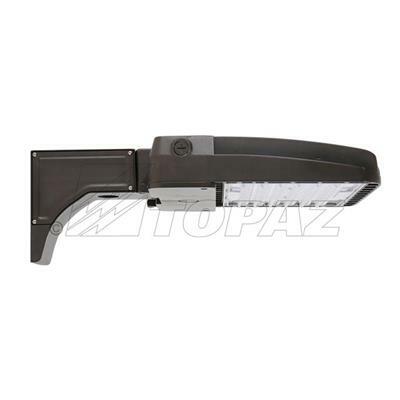 Topaz’s 150W Area Lights features outstanding photometric performance and uniform illumination in a low-profile design. The one-piece die-cast aluminum housing with UV resistant powder coat finish offers outstanding corrosion protection and is ideal for use in various commercial environments such as auto dealerships, parking lots, walkways, roadways, campuses, façade lighting, grocery stores and other public areas. 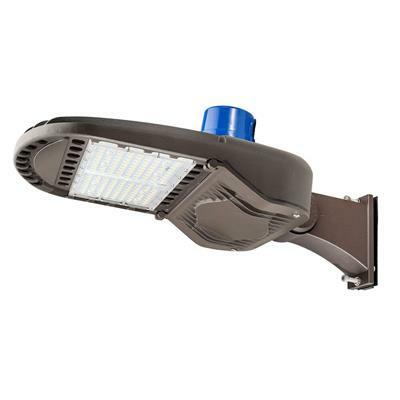 This 19,000 lumens fixture comes with a 6’ power cable and a twist-lock photocell and shorting cap.